Mouse kidney lysates (30 ug) were resolved on an 8 % SDS-Page gel and transferred to nitrocellulose membrane. 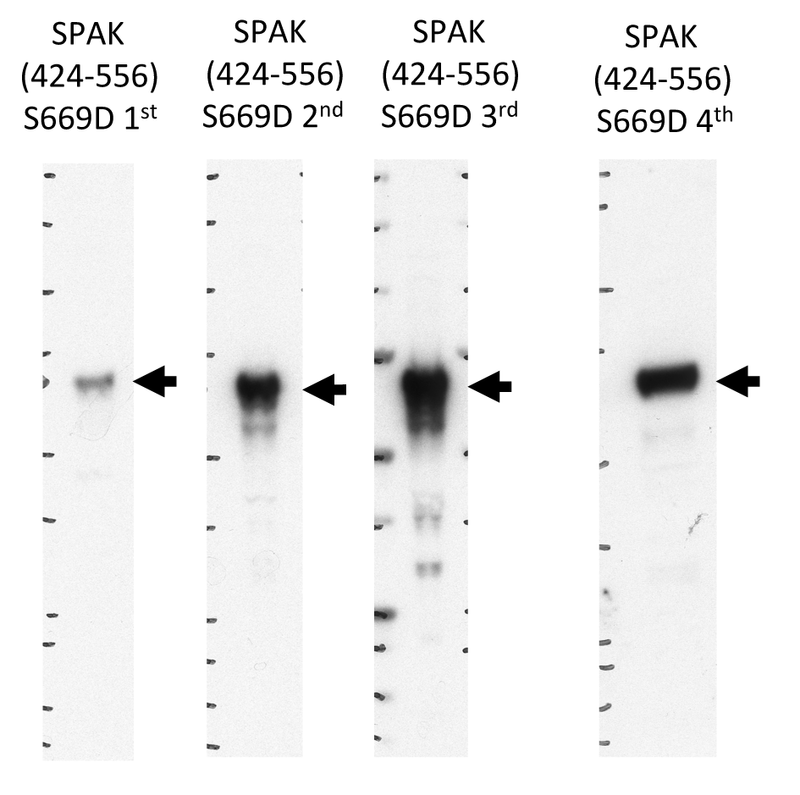 The membrane was probed with anti-SPAK (424 – 556) S669D with the indicated bleeds at 1 ug/ml. Anti-SPAK (424-556 mouse) cross-reacts with mouse OSR1.